Heath J. Kellogg, 36, whom the United States attorney’s office here described as a self-taught graphic artist, is in the latter category. Kim Severson weaves an intriguing profile of one Heath Kellogg, whose superhero name is “The Printer” in the counterfeiting criminal underworld. Just 36 years old, Kellogg was arrested recently on suspicion of passing more than $1.1 million in counterfeit $50 bills. For those keeping track at home, that’s 22,000 individual Ulysses S. Grant’s. To make his bills, Mr. Kellogg first ran paper through a printer and tinted it yellow, investigators said. He then printed the front of a bill on one sheet. On another, he printed the other side of the bill, flipped the paper over and printed a watermark on the back. 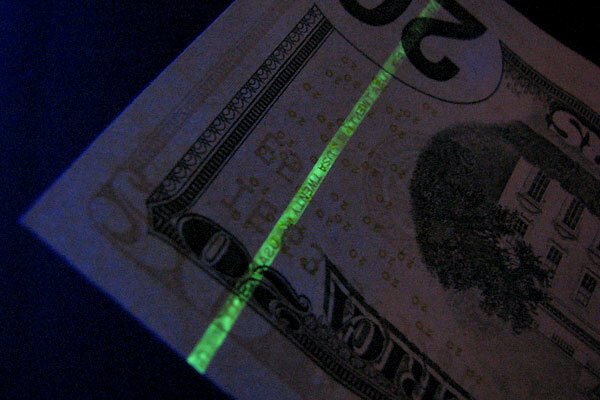 He then approximated the security threads embedded in legitimate bills by using pens with colored inks that would show up under ultraviolet lamps. He would then glue the two sheets together and have a passable bill. 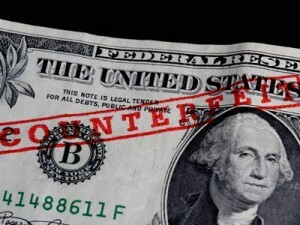 As far as “passable bills” are concerned, the story notes that “if you handle money regularly, it is likely that you have passed at least one fake bill, according to the Secret Service, which was created in 1865 to stop rampant counterfeiting.” They include a link maintained at the Secret Service’s website intended to educate us on how to spot counterfeit money. Who among us doesn’t “handle money regularly”? Even with a vastly increased reliance on credit and debit cards for our everyday purchases, the vast majority of us still have our hands on some greenbacks on a regular basis. For our purposes here at Ink Technologies, we have to wonder on another level…has a Heath Kellogg ever purchased their tools necessary for counterfeiting bills the old-fashioned way, from us?